The Day That Is Upon Us! This was the title of a poem I wrote a few days ago. At that time, Jonah had been on my mind, but I had no clue as to how much further I had to go to truly understand the allegory of it all. A very big piece of the puzzle came to me when I wrote this poem below. Watch and Pray for the sign of Jonah is on its way. And for some it has been here for quite sometime. We have been in the belly of Hell (Our Ego) for three days and soon it will be time to rise. So the next Pharisee that comes to me, and asks of me, prove it all with the sign. With this next verse I will remind. If you can’t see the trouble that had to be, then you haven’t paid attention all the other signs. And now, none shall be given, but the giving of sight to the blind! I was in prayer and turned on my Bible App on my phone, and the “verse of the day” popped up. It immediately got my attention, as Jonah had been all I had been thinking about and talking about recently. Unless, you are new to this site, if you have seen anything that I have shared recently I am sure you are well aware of this fact. In that moment, I understood that the ONLY SIGN THAT WOULD BE GIVEN TO THIS GENERATION is the SIGN OF JONAH! And what a SIGN IT IS. And the sign is much more than being in the belly of the great fish (mans carnality) and being spit up onto Nineveh’s shore to preach repentance… JONAH WAS THE SIGN! The SIGN is that the SON OF MAN will be easily distinguished from other. A LIGHT among darkness. An example for others to learn by. There is a wonderful revelation one will find when they read the rest of the verses in Luke, where it clearly states that the people of Nineveh will rise up with this generation and a GREATER THAN JONAH IS HERE. As I said, I have been talking a lot about Jonah recently. Perhaps it is because lately I believe I can relate to his experience. Of course, Jonah is a type of Christ. Jonah as you will find out is a type and shadow of each and every one of God’s children today. Also, if you want a MORE IN DEPTH ESSAY simply read my paper “Jonah Revealed” that I shared years ago, which breaks down the entire book, and is quite eye-opening if I do say so myself. For within the pages of Jonah lies salvation for all. By now, you should know that it is the LIES and CARES of this world that we are saved from. If you aren’t away that salvation has nothing to do with some myth called infinite torture, please do read my in-depth essays on such topics. So let me get into this. This morning after finding out that South Korea and North Korea thankfully have come to terms so war is no longer imminent (we pray) there was a tug at my heart. I am not ashamed to admit, there was a moment when I truly believed that these two countries were going to start a war. The reason this was significant is recently I had shared a video entitled, “war is coming” where I awkwardly shared my feelings that we would see a very big war in our near future. I had been troubled about this feeling and so when I stumbled across the news about the Koreas hostilities I shared the video. I thought that like the other videos before it, I would see an outward manifestation of what was happening inwardly. Now this feeling troubled me. Because I questioned if sharing such a video as warning to people to return to love and peace so there is no war, was in fact a possible declaration of war. I know what I have been sharing lately has been very different from what I have shared in the past, but my desire to serve the God, Spirit, Source, Inspiration, Or Higher Self (whatever name you prefer) supersedes my desire to please all of you. That means I am on a journey, one that I know is pure. I may make what some would call mistakes along the way, but they all work together for the good. And so I did not worry about what the naysayers, Pharisees, and just down right mean people would say… I shared what was on my heart. And sadly, after a while the critique of others began to wear on me. But that’s all over now. Because I am not hear to tickle ears. You all don’t need me to tell you what you want to hear, you need to hear the TRUTH. For it is only the TRUTH that will set a person free. And the good news is, ALL WILL SEE…. Because of the SIGN of JONAH. The truth is, I don’t like critique, I don’t like people tempting me, or condemning me, betraying me, mocking me, etc… but I will not allow that to motivate me… I continue to pray for the TRUTH no matter what the cost, and I continue to yield myself to that SELF SAME SPIRIT of Love within us all. Let’s be real, if I simply shared what everyone wants to hear, and changed what I shared when all of my peers began to mock me, or condemn me, or openly tell me how wrong I am, then I would be a MAN-PLEASER and if you ask me there are far too many of them today. I will admit I have been torn up about some of the things I have shared lately. I have been in very intense prayer/meditation over it all, for many sleepless nights recently. You see, I am one who simply wants to do the right thing for the right reasons. And so over the years, I have always followed the voice of Inspiration, so long as that voice was backed up completely by love. I have always said, “LOVE IS THE LITMUS TEST”. If it isn’t love, it isn’t God. And I know in my heart, that what I have been sharing was one hundred percent inspired by love, and one hundred percent the will of God. AND NOW I HAVE THE CONFIRMATION OF IT ALL. I may have questioned it here and there over the last few weeks, but this morning when I arose to the news of the KOREAS reaching an agreement, the revelation hit me square in the jaw and it was wonderful. You see, I did not want to see another huge war. I hate war. I hate fighting. I hate hate. Even though, I understand wars will come until this world system is done. But after warning people of what might happen, and finding out that it might indeed happen sooner than imagined, I BEGAN TO BELIEVE that this terrible thought could in fact be. I immediately began sharing links about the tensions building not just in the Koreas, but also the Israeli/Iran/Syria conflict that is on going. In my heart, I feared a huge world war could in fact be near. Of course, just sharing with people these thoughts invites a slew of criticism. And boy did the people lay it on. But now, and I am smiling as I type this, I understand it truly is all working together for my good. But I digress, when I woke up this morning and read that North Korea and South Korea had indeed come to terms, I almost felt stupid. I even felt upset. Not because I wasn’t happy to see war averted, I was praying it would be. But because I got so much negative feedback for sharing what I did, which I KNEW I WOULD, which is WHY I didn’t really want to share it to begin with, but because of this negative feedback when I saw there was no war, I felt foolish. AND THAT IS WHEN THE REVELATION OF JONAH HIT ME. Ironically, I had just been studying Jonah, I have mentioned Jonah quite a bit lately as I a fore mentioned. However, never, until this day, had I ever understood why Jonah got upset when God did not do to Nineveh what he told Jonah to warn them he might do. AND WHAT A GLORIOUS REVELATION THAT WAS! It was like a weight had been lifted from me. In that moment, everything became clear. NINEVEH WAS SPARED because JONAH finally did what God demanded. Also, because the people repented at his obedience. Now granted, when we read this story it is confusing as to why Jonah got upset when sudden destruction DIDN’T fall on the wicked land. We understand by reading that Jonah should have been rejoicing that SUDDEN REPENTANCE DID instead! However, we may have not considered that Jonah, like me, might have felt a bit foolish too. He boldly declared of the devastation that would soon come if the people did not repent. AND THEN WHEN IT DIDN’T COME… he was like…. That to me completely resonates with what I have been sharing lately. I was almost certain the war I had the troubling thought about… the war that I, like Jonah, tried to “stall” (as Jonah did) in telling others about… well I believed it might begin in the Koreas, and then when I got the news that they had come to terms, which I should have immediately rejoiced over, I was like Jonah saying “I KNEW YOU WERE SLOW TO ANGER AND ABOUNDING IN LOVE, A GOD WHO RELENTS FROM SENDING CALAMITY… THIS IS WHY I DIDN’T IMMEDIATELY SHARE THE VIDEO, AND NOW… NOOOOOOW I FIND OUT THAT THERE IS NO WAR? — And that is when, I heard God’s voice… just like Jonah (not literally of course, it was a thought, a beautiful thought). Right then… I KNEW! Of course, I shouldn’t be angry. OF COURSE, I SHOULD REJOICE! How foolish Jonah was, and how foolish I came close to being as well. Jonah was more focused on what didn’t happen, as opposed to being in awe of all that did happen BECAUSE HE SIMPLY OBEYED not caring even if it would cost him his life. SURE, it took some coaxing, but eventually after he ROSE FROM THE DEATH of that FISH (HIS CARNAL MIND/EGO) HE PREACHED REPENTANCE and BECAME A SIGN FOR NINEVEH… And THIS IS THE SIGN we are beginning to see as well! In fact, I am the SIGN, just as Jonah, just as you. You see, before the revelation I am about to share, I was sitting in my bed shaking my head. I began to think, most of what I have shared about the flooding, and the earthquakes, and martial law, well all of that literally began happening almost immediately after sharing it, which is why each day I added a new article to my posts. But this WAR THING, this feeling that there might be a big war. Well, I waited (as Jonah Forestalled) a long time because I DID NOT WANT TO SHARE THAT MESSAGE WITH ANYONE. It was almost like I didn’t believe such a thing was possible either. HOWEVER, as I have made perfectly clear I am man who wants to do the will of God. I have submitted myself to it all and so when what I though might happen didn’t happen, I like Jonah sulked. As I said, I literally even prayed, “I KNEW you were a GOD who loves, who is patient, so WHY INSPIRE ME TO SHARE THAT?” — But the lesson the Lord placed before me was NOT LOST ON ME. I should be more focused on the world waking up from it slumber as opposed to waiting for devastating things like natural disasters or war to happen. I know things are changing and I know bigger change is going to come and this is why I have been like Jonah warning people, REPENT for the day is at hand. I simply feel it, I simply believe it, and that is why when I found myself behaving like Jonah I had to pause and refocus my attention on the awakening that will come one way or another. And so if nothing comes of everything I have shared, even though most has already begun and come to pass, than I will rejoice instead of sulk like Jonah. I expressed this revelation in a poem I wrote this morning. After reading it, I will indeed share what it is I see clearer now, more than ever before. The Lord told Jonah to warn the people of the coming destruction that was on its way. And that if they did not repent there was a great price they would pay. But this was not a game Jonah wanted to play, because he knew what the people would say. paved the way so that in the end, for Nineveh, all was well. No life was lost, no one but Jonah had to pay the cost. But Jonah did not understand, that through this God had a plan, so that when Jonah warned the land few if any of them would die. because in the end it was his obedience that paved the way for sparing all their lives. You see, BY ONE MAN’S OBEDIENCE the WHOLE OF THE WORLD CAN BE SAVED AND ENLIGHTENED… and THIS MY FRIENDS IS WHY I HAVE BEEN SHARING WHAT I HAVE BEEN SHARING. And so keep watch and pray. I have been tested lately by the Pharisees and Sadducees of out day. Saying PROVE IT, PROVE IT, PROVE IT! And when I offered the “proofs” again and again, I realized there would NEVER BE ENOUGH PROOF. Even if WORLD WAR THREE BEGAN TOMORROW, and God knows that still could be, the fact that I expressed my concern over such and it happening, well that would NEVER BE ENOUGH! In the parable of the Rich Man and Lazarus, the Rich Man begs that one back from the dead be sent to warn his family to not make the same mistakes as him. This lesson was not lost on me today. And so none of you will get the proof you want. NONE OF YOU will get the SIGN you think you need. BECAUSE NO SIGN will be given but that of JONAH! And behold a greater than Jonah is already here. PS I hope you enjoyed this essay. Please do subscribe it is free. Please do share this website with others. If things have been revealed to you through this resource don’t simply pass off what you learn to others as your own, it is not yours, it is the Lord’s, instead please direct them here and let them find what you found. Please do comment, and let me know what you think. We are brothers and sisters, we are co-creators here and together whatever we bind in heaven is bound in earth and whatever we loose in heaven is loosed in the earth… LET’S MOVE UNTO PERFECTION TOGETHER. ENJOYED JACOB, I AM STARTING TO SEE SOMETHING BUT WON’T TALK OF IT NOW, JUST KEEP BEING LEAD BY FATHER. Thank you for sharing this, Jacob. I go through these things with you… This is good! hi Jacob o the paths that are set before us…now just think if abraham told the people, God said, “Iam to sacrifice my son Isaac.”…You said it yourself…if they do not listen to Moses and the prophets they will not listen or be convinced EVEN if someone rises from the dead. for i do say hardly anyone knows that John the Baptist and Moses are the same. The new testament was for the old and old for the new. But for both they tell the truth perfectly about you..lol my poem. Only one could go into the holy of holies a levite some high priest thinger moses brother some guy called aaron..John the Baptist son of a levite hmmm..ever wonder why he was in the wilderness..yet they murdered his father but why? 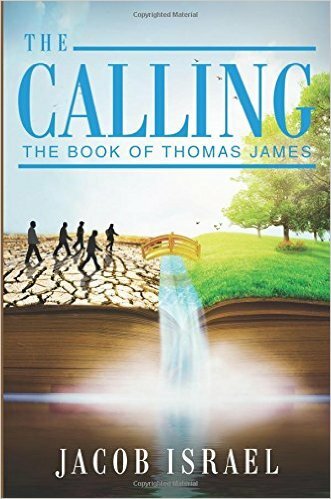 All about a prophecy about John…what was the prophecy over John the Baptist?…his fathers subsequent death?…john found in the wilderness?…speculation for some, revelation to others….Moses nor John fulfilled their seemingly carnal duties as priests…but their spiritual destiny was not to be forsaken. Jesus called John the Greatest born of woman…yet least in the kingdom of heaven…You would think Moses would own that title…He does but the new is for the old and the old for the new.